Good and Beauty in Italy go together. Like simplicity and duplicity. After all, Italian lifestyle is as sophisticated and multi-layered as it can be. Whereas, its world-famous cuisine is as plain as it can be. Combined, these two aspects create an explosive alchemy that makes Italy and Rome especially the center of one of the most fascinating and contradictory cultures ever, whose secrets still defy blunt imitation and stereotypes. So. Don’t try this home! Forget about Sbarro and enhanced chicken and broccoli pizza. Visit Rome and let the Romans do the rest. But. Coming to food. Roman restaurants provide you with a variety of dishes some of which are typical of Roman gastronomy and are certainly worth trying during your exploration of the Eternal City. Whether you are alone, your mistress, your tour guide, or your dog, stop at some authentic non-touristy Roman trattoria or hosteria or hostaria and try these dishes out. 1. 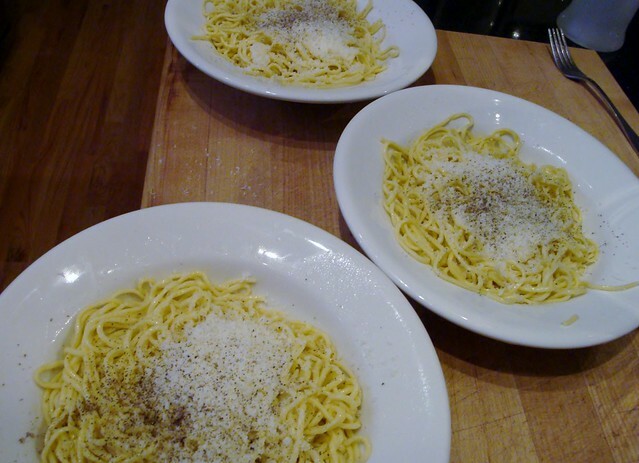 Spaghetti Cacio e Pepe: Served a first course, the classic ingredients of pecorino romano cheese and black pepper makes it a sumptuous choice for a start. 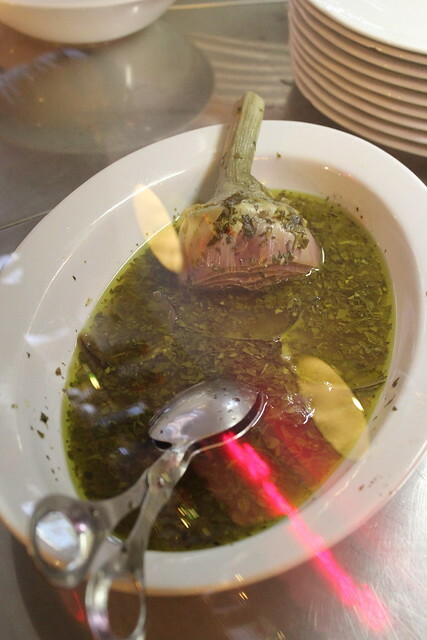 Local olive oil adds a special flavor to the dish. Overall it is a good Roman dish to try if you want to have something usual yet flavorsome. It is commonly available in Roman restaurants so you won’t find it hard to find. 2. 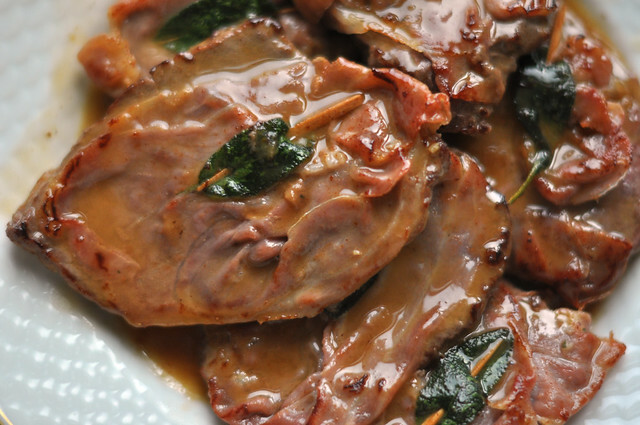 Saltimbocca alla Romana: This is another classic Italian dish you would find on many roman menus. The dish name is also already very unique as its literal meaning is “hop in the mouth.” It will actually stand by its name and amaze you with a perfect combination of prosciutto, sage and veal medallions. You can have the seasoning of either butter or olive oil and add a little wine to bring out the exclusive flavor. A must try. 3. Porchetta: What a mouthful dish for pork lovers. 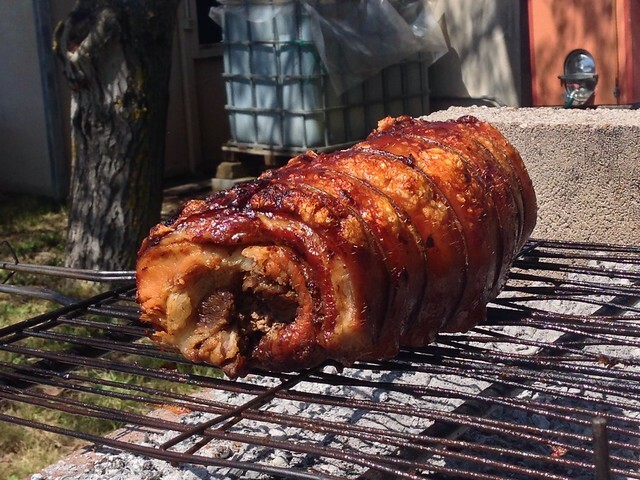 Porchetto from Ariccia is particularly famous. The bountiful dish is carved and stuffed with an herbed young pig. It is fatty and moist pork roasted over woods in a traditional style. It is heavily salted and given a touch of garlic, rosemary, fennel and many herbs to add an exciting taste to the dish. 4. Carciofi alla giudia: Literally, ‘jewish artichokes,’ this is one of the best Roman dishes that mesmerizes first timers with a blissful taste. The cooking procedure is quite traditional and is known to be gathered from the ancient Roman Jewish community that used to cook it by frying the artichokes till they deliciously reached a crispy perfect texture. It is one of the most popular cuisines in the Roman Jewish community. 5. Carciofi alla Romana: Roman-style artichokes. 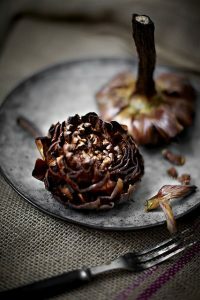 The dish is made by cleaning the each artichoke one by one, with the help of a knife, and removing thorns and hard leaves. Then the artichoke is marinated with water and lemon juice for some time so that the color remains fresh. The cavity is then stuffed with parsley, garlic, salt and pepper. Lastly, the artichokes are fried at a slow pace, till they get the typical buttery taste and tender texture. Water and white wine are later added to the dish along with salt and pepper and some amount of oil. The dish is ready to be served and eaten. Or admired below, if you read down to this point. Carciofi alla romana! These are only a glimpse of the Roman dishes that will dulcify a Rome tour with their distinctive local taste. This entry was posted in Food, Lifestyle, Rome. Bookmark the permalink.